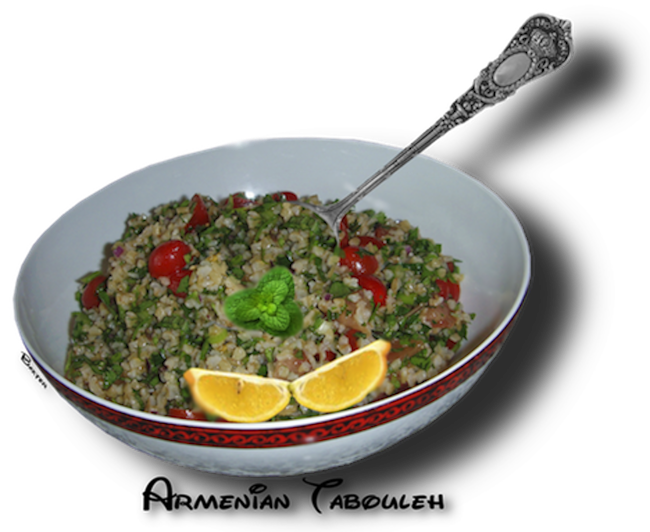 This bulghour salad, is a favorite throughout the Middle East. This nutritious salad is loaded with iron, fiber, lycopene, and vitamin C.
Beyond that it is delicious. Wash the bulghour thoroughly, drain, add water just to cover by 1/4 inch. guests asking for the recipe.